This book is the essence of more than thirty years of research in the field of self-knowledge. In it were considered the cardinal points needed to orientate oneself in one’s own inner space. The reader will be taken step by step into exploring his physical, mental, emotional and spiritual existence. It is a book with informative as well as practical directions, because in it are carefully described exercises to enhance self awareness, therefore fostering an experiential approach. It’s a journey back to oneself, a map illustrating the milestones that mark the path towards self realization. Meeting oneself and discovering the beauty of the inner dimension is a wonderful adventure. The road is sometimes scattered with stones: it depends on the point of view, if to see them as obstacles or as steps to climb higher. 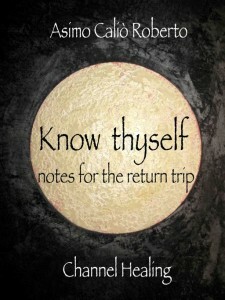 The purpose of this book is to help the traveler to use what he has to rise himself to his potential. Asimo begins the journey of personal growth when, in January 1980, he met Osho, the Indian mystic of whom he became a disciple. In the light of His presence, he learns Meditation and the experiential knowledge that will lead him, years later, to share them. The work that Asimo proposes through the courses of personal exploration, is aimed at creating the situation so that people find by themselves the answers they seek.